[ iOS ] Version 1.4.8 has been released. [ iOS ] Main Changes in Version 1.4.8 are the following. Added the "Integrated Calling" setting. 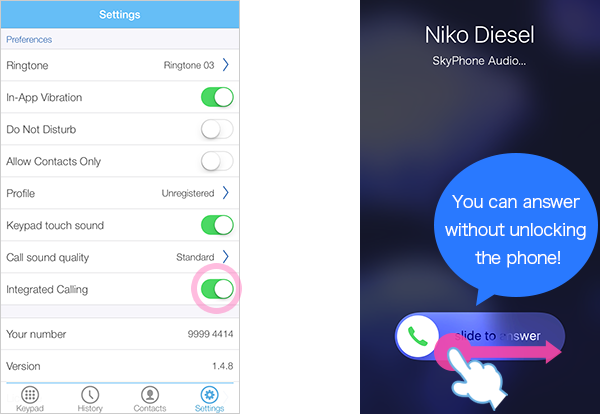 If you turn on the "Integrated Calling" in the SkyPhone settings, you can answer SkyPhone calls without unlocking the phone and make a return call to a SkyPhone number from the call history on your iPhone. 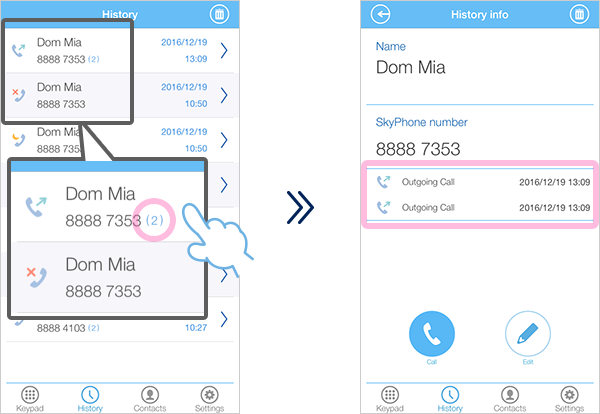 SkyPhone call history is saved both on the app and the device. 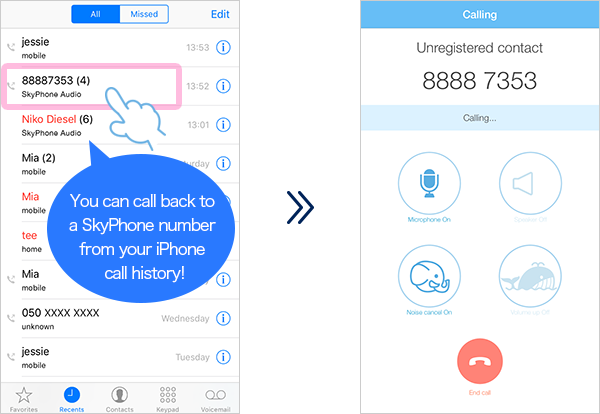 The app doesn't access any history info but SkyPhone call history.